WHAT, WHERE, WHEN? Are You Funding Ready? CLÁR provides funding for small scale infrastructural projects in rural areas that have suffered significant levels of population decline. The programme is part of the Government’s Project Ireland 2040 Rural Regeneration Programme. Applications should detail all the costs associated with a proposed project and only items of a capital nature that are integral to the project should be included. Administration and professional fees should be kept to a minimum and be clearly detailed. Such costs will be eligible up to a maximum of 12.5% of the overall project costs. Maximum and minimum amounts depend on what you are applying for and your group needs to be able to provide at least 5% and up to 10% of match funding. Funding for Measures 1 and 2 is operated by via the relevant Local Authority – Leitrim County Council. Applications must be received by 12th April 2019. Measures 3 a) and b) are operated directly by the Dept of Rural and Community Development. Applications must be received by April 25th 2019. Measures Due to Leitrim Co. Council by April 12th 2019. Measure 3 c) Application Form – Due to Leitrim County Council by April 12th 2019. 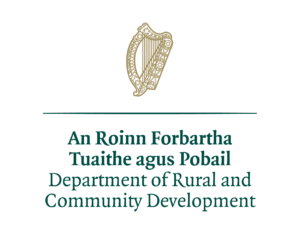 Measure 3 a) Application Form – Due to Dept of Rural & Community Development April 25th 2019. Measure 3 b) Application Form – Due to Dept of Rural & Community Development April 25th 2019.